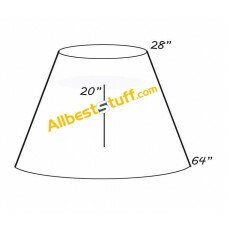 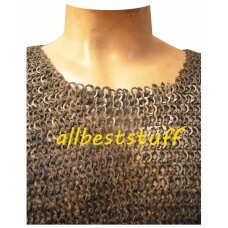 All Best Stuff offers wide range of handmade Medieval Chain Maille products for SCA, Renaissance / LARP events. 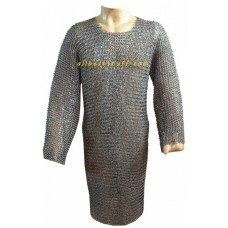 The strong Mild Steel or Stainless Steel rings are combat ready & offer great protection to the re-enactors. 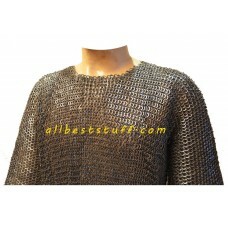 We also offer light weight Aluminium, Copper, Brass, Titanium based Chain mail products. 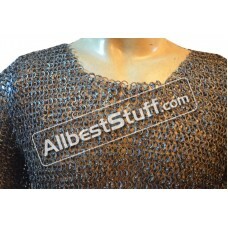 We offer over 200 combinations of Chain mail Armor in different size and type in popular 3,4 rings into 1 ring combination. 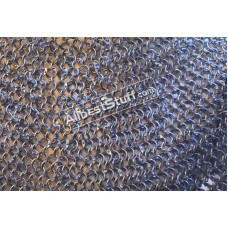 Over the years we have unblemished the art & have experienced raw material to the core, we understand what material goes well in different chain mail ring using several combinations. 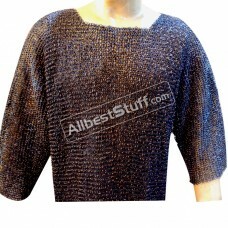 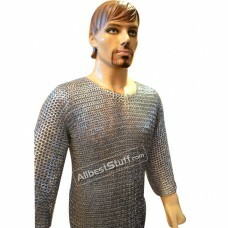 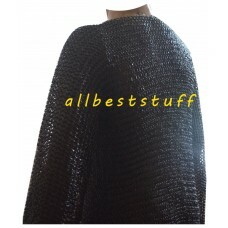 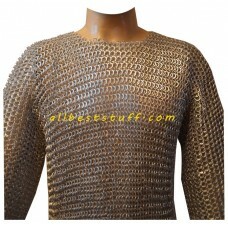 You will find not only a range of modern age designer Chain Mail shirts in different Maille armor combinations, we consider us also fortunate to replicate lot of ancient chain mail art work (exclusively on demand), some of them you see on our website are only for display not for sale. 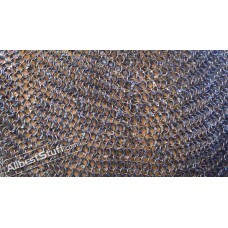 Our endeavor is to be enthusiastic about doing new experiments, so if you have a chain mail design we would be happy to assemble it for you. 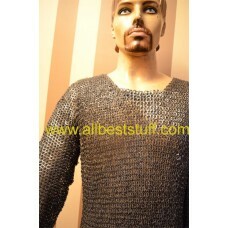 For Most of the chain maille producer as a standard procedure weaves rings from left to right (side by side) however only here at All Best Stuff you can order special vertical weaved chain mail shirts with no extra cost. 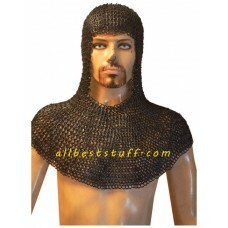 Modern day riveting on producing chain mail items are relatively easy then what it use to be in Medieval times. 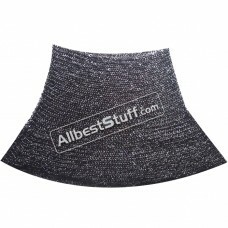 Today various tools and portable machines has made the life easy for riveting chain mail products, however modern day riveting still requires a highly skilled approach. 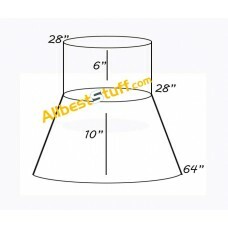 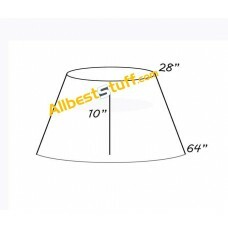 Our team in production is highly professional who takes due care in using better quality punched rings, rivets are even from both sides so that it does not spoil your garment underneath. 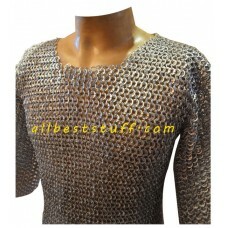 It is one of the most crucial element in production of chain mail items since a poorly done riveting will rip the gambeson inside plus it can even hurt the fighter while wearing or removing the chain maille. 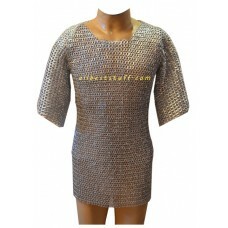 It is strongly advisable to buy these hand made items through a reliable source, ask clear questions about the thickness and circumference of the ring used to produce chain mail to ensure you are buying correct a combination. 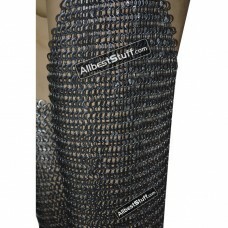 We are a strong believer of producing only hand made chain mails unlike some of the other producers who use advance machines to produce chain mail items. 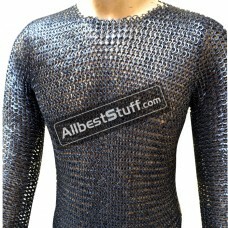 Machine made chain mail products may be economical however looses its authenticity and historic hand made touch. 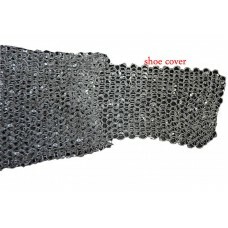 Key Features:Ring Size: 18 Gauge 9 MM, One Ring is..
Key Features:Ring Size:18 Gauge 9 MM, One Ring is ..
Key Features:Ring Size:18 Gauge 9 MMWeave Type: Eu..
Ring Size: 18 Gauge 8 MM, Flat Pin Riveted ring wi..
Ring Size: 16 Gauge 10 MM, Material: Aluminum ..
Ring Size: 18 Gauge 9 MM Chest: 56 InchA comfort f..
Ring Size: 16 Gauge 10 MM Chest: 64 InchA comfort..
Ring Info: 18 Gauge 9 MM, One Wedge Riveted Ring w..
Ring Size: 18 Gauge 8 MM Chest: 48 InchA comfort ..
Key Features:Ring Size:18 Gauge 8 MMWeave Type: Eu..
Ring Size: 18 Gauge 9 MM Chest: 48 InchA comfort ..
Ring Size: 18 Gauge 9 MM Chest: 50 InchA comfort ..
Key Features:Ring Size: 16 Gauge 9 MMWeave Type: E..
Key Features:Ring Size:16 Gauge 9 MMWeave Type: Eu..
A state of the art craftsman ship, this hauberk us..
Ring Size: 17 Gauge 8 MM Chest: 60 InchA comfort ..
Ring Size: 17 Gauge 8 MM, All Rings are Round, All..
Ring Size: 16 Gauge 10 MM Chest: 55 InchA comfort..
Chain Mail legging Half Size will cover your calf ..